Propose a toast! Inspired by the vineyards of Tuscany, the classic shapes of this fine glassware collection capture the pleasures of Italy's famous wine country. 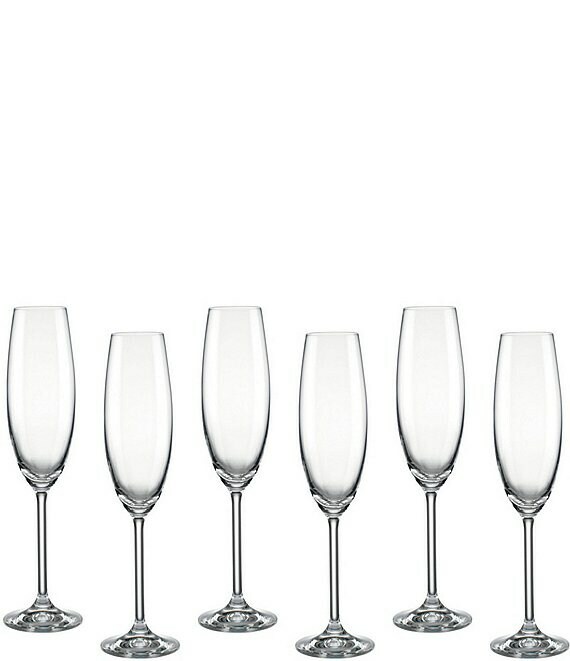 The elegant shape of these graceful flutes makes your favorite champagne sparkle. The Lenox Tuscany flute champagne glass set features 6 8-oz. glasses. Of Glass. Imported.